YOUR NEXT STAMP. I love this challenge blog! 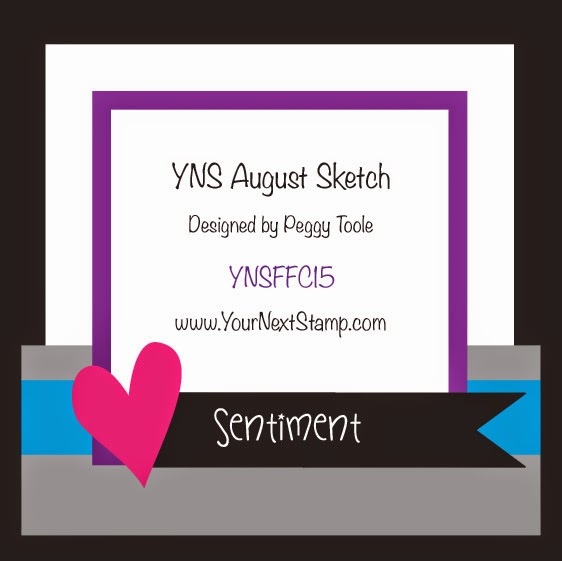 They have fun, cute and quirky stamps and the sketches...I LOVE them! Head over and check them out and join in the challenge, the sketch and inspiration picture this month are amazing and open to so many possibilities. 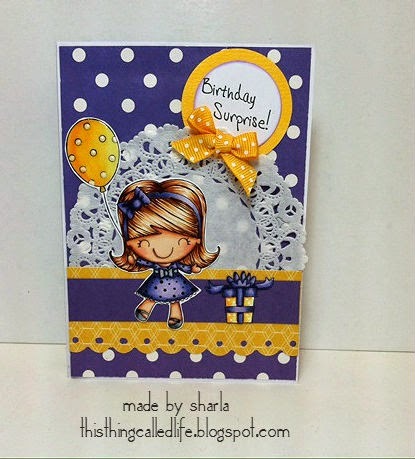 I love this colour combo, Sharla, and your fun layout! 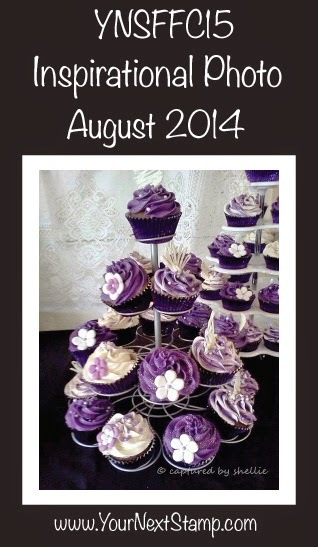 Your colouring is beautiful (have to say I'm a huge fan of purple hair!)! Those colors look so cool together. The yellow really pops out! Fantastic card. Thank you for joining us on the Polka Dot Challenge at Wags 'n Whiskers. Your image is super sweet and beautifully coloured! Love the purple and yellow combo and that sweet polka dot bow. Thanks so much for joining us at Seize the Birthday!